Carol Dryden and Michelle Bennett have been serving clients throughout Lancashire & the UK for over 15 years. We recognise the value of really excellent customer service and focus on providing a friendly, efficient, cost effective and prompt service to all their clients. And we take rush jobs in their stride! So we like to let our work speak for itself as you can see from the adjacent picture! Q. How do you convert design artwork to useable data for embroidering my logo onto garments? A. Design artwork must be converted through a process called DIGITISATION. Your logo is converted into a useable format for the embroidery machines by creating a machine readable program of stitches. Q. On future orders do I have to pay a set-up charge for my logo? A. No, the set-up charge is payable only once which is incurred only with your first order. We store your logos on our computer and the designs can be reproduced over and over again exactly the same each time without any further set up charges. Q. Do I have to pay a set up charge if I just want text embroidered? A. Not always. If it’s simple text, then we don’t charge. Q. Can someone’s name or other text be put with the logo? A. A logo often includes some text showing the name of the business etc. and the price we quote includes the cost of the same embroidery on each garment in one position this can include a name. 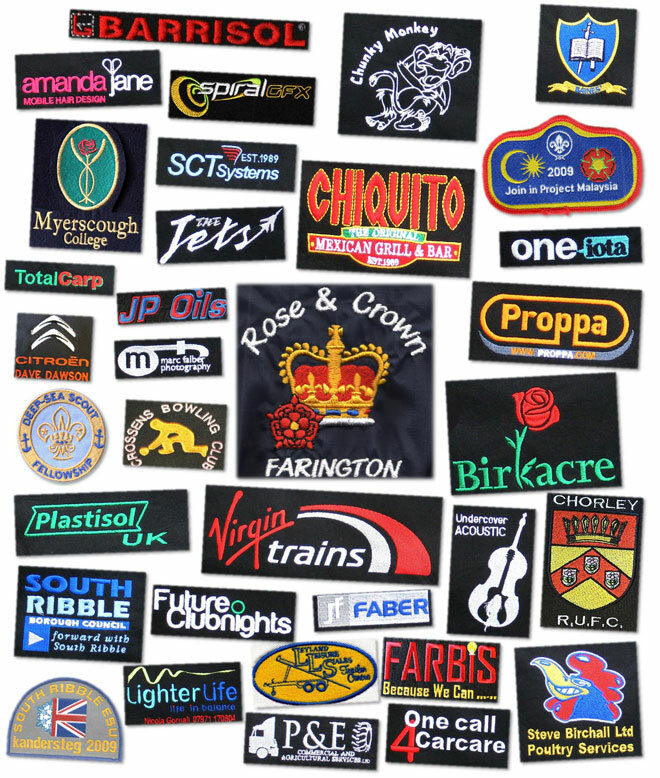 We can embroider individual names on garments in an additional position for a small additional fee. Please ask us for a quote for exactly what you require. Q. Can you embroider on my own garment/s? A. Certainly, at your own risk.